Warp 9's "Stiletto" wheels! 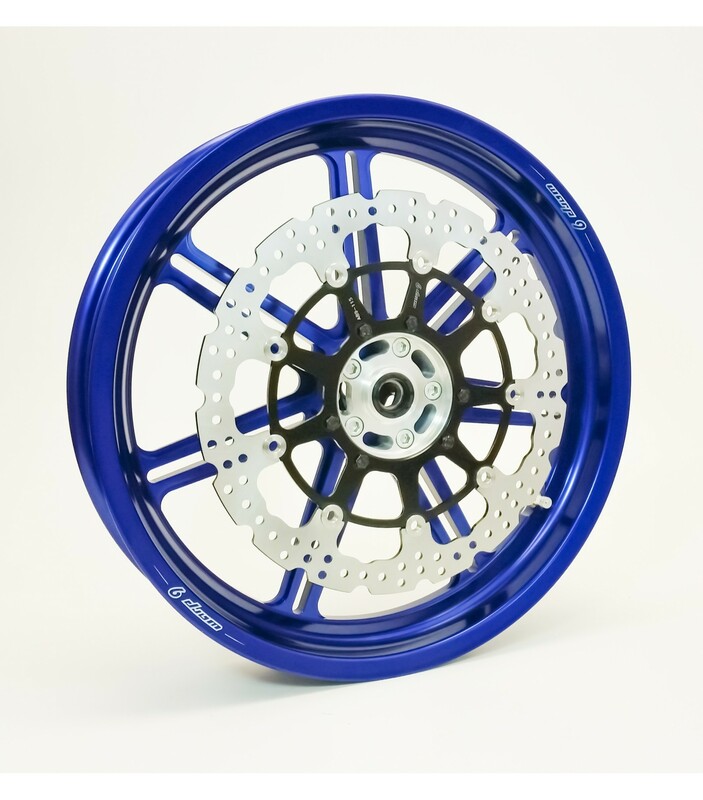 These are W9's original forged aluminum wheels. Light-weight, TUBELESS, and trouble-free. No more adjusting spokes and no more instant-flats from bursting inner tubes! With tubeless wheels a punctured tire usually goes flat slower, allowing you to come to a stop safer! Gain performance from the weight loss, thanks to light-weight forged aluminum wheels and an absence of heavy inner tubes! Forged wheel for superior strength. Truly modular hub system, so you can swap hubs to fit any bike that Warp 9 offers hubs for! 90 degree valve stems for easy access. Apex floating rotor is standard option - it dissipates heat better than the single piece wave rotors. You choice of color combination. Wheel spacers to fit your bike. 320mm Apex Floating, Original Size, or No Rotor. Caliper adapter bracket included for 320mm rotors. Please note: These wheels are built to order. Some orders may take extra time to complete. 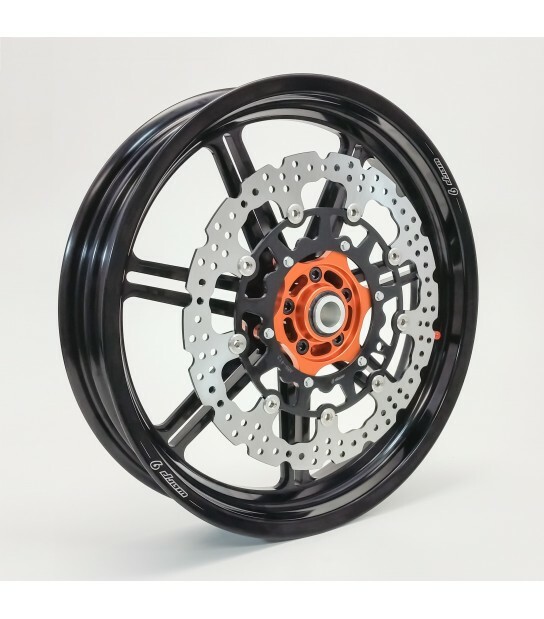 NEW Warp 9 Tubeless Forged Wheels!